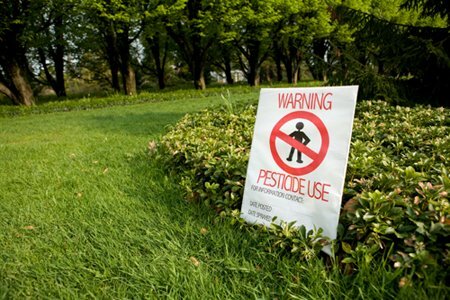 Canadians are speaking out across the country – they want their communities and provinces to regulate pesticides for residential and public spaces. They are calling for regulations to ban the sale and use of these products to the public – and to be effectively enforced. There is evidence to link the use of pesticides with Parkinson’s disease, leukemia, cancer of the prostate, brain, pancreas, kidney, stomach, non-Hodgkin lymphoma and lung cancers. Meanwhile, Health Canada claims that these products are not hazardous to humans if used as labeled. Moreover, pesticides are not the only toxins in our daily exposure to chemicals. What about the effect of the combination of pesticides and other toxins in our daily intake? Most concerning is the effect of pesticides on the fetus, newborns and children. Over 155 municipalities, including Vancouver, Toronto and Halifax, and the provinces of Quebec, Ontario and New Brunswick, have passed legislation banning or regulating the use of cosmetic pesticides. This means that well over half of Canadians – 69% – are now protected from cosmetic pesticides. While this is excellent progress, it is NOT good enough. All Canadians deserve to be protected from the dangerous impacts of pesticides, and PCN is working towards this goal. If you live in British Columbia, you will be pleased to learn that the Union of BC Municipalities passed, in early October, a resolution to ban the sale and use of cosmetic pesticides, with resounding support. The resolution will now be forwarded to the provincial government for consideration. PCN is working with the Canadian Association of Physicians for the Environment and the Canadian Cancer Society to stop the use of cosmetic pesticides in Alberta ! Finally, check out the series of resources on our website to help your community get a pesticide bylaw in place. Let’s see how many more Canadians we can protect by the spring of 2010.